AFRICAN ANCESTRY GENETIC VARIANT APOL1 GENE HAS BEEN NOW ASSOCIATED WITH GLOMERULAR DISEASES. WHICH OF THE FOLLOWING REGARDING APOL1 ARE TRUE? Gene variants of MHY9 locus were being considered as possible risk factors for FSGS and high incidence of kidney diseases in the african american population for the last decade. A further risk assessment was just done by the same investigators and 1641 European Americans were compared to 1800 African Americans and new locus was discovered. 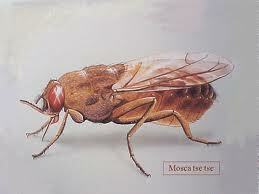 This phenomenon might be epigenetic from protection from the Sleeping sickness disease caused by the tsetse fly. Apparently on the same chromosome 22, APOL1(apolipoprotein -1) and MHY9 sit next to each other. The studies are now showing that due to natural selection and linkage disequilibrium, the APOL1 gene might be the strong candidate for a gene that is responsible for increased incidence of renal disease in African Origin Americans. Recent JASN articles in Nov 2011 issue also shed light on newer findings as described above: Having the APOL-1 variant can lead to more arterilopathy and renal vessel changes and that was confirmed on biopsy findings. 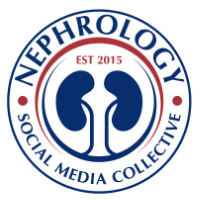 Interestingly, only certain glomerular diseases are at risk- FSGS types including HIVAN but not IgA nephropathy or diabetic nephropathy. Given the severity of the disease, these patients need dialysis at an earlier age. More copies of this gene- more you are at risk of FSGS and ESRD. So all the above statements are correct.